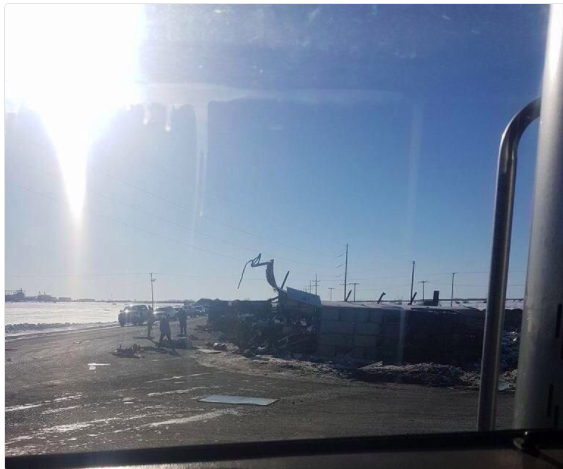 WINNIPEG, MB - Rescue efforts went well into the night at the scene of a fatal collision in Saskatchewan involving a junior hockey team's bus and a semi, as Manitoba Post reported last night here. RCMP have now confirmed 14 fatalities and 14 injured. Three of the injuries are reported as critical in nature. There were 28 people on the bus including the driver at the time of the collision. At this time Police will not confirm if the deceased were players or coaches given they are working to notify families. According to hockeydb.com the majority of the team's player are from Saskatchewan and Alberta, there is one player listed from Manitoba. We have not been able to confirm if he was on the bus at the time of the collision. 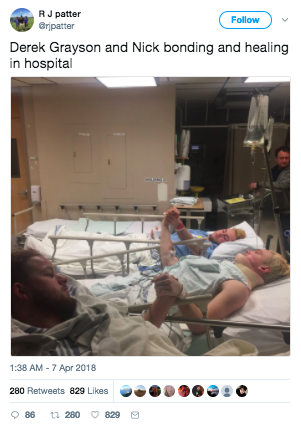 On Twitter a parent, the father of Derek Patter, posted a tweet of three Humboldt Broncos players recovering in hospital. The collision occurred at about 5 p.m. Friday on Highway 35 near Tisdale, northeast of Saskatoon.The team was on it's way to Nipawin to play Game 5 of its Saskatchewan Junior Hockey League semifinal series. A GoFundMe page was set up for the Humboldt Broncos and those affected with a goal of $10,000, at last report it was over $45,000. If you would like to help, click here. 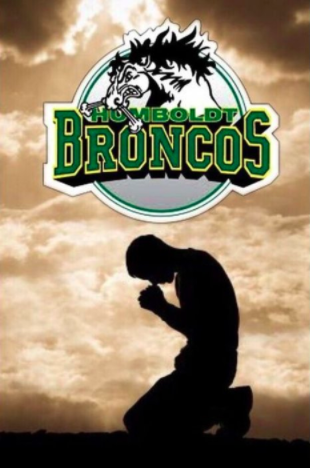 Social media has been very active since people learned of the crash using the hastag #PrayersForHumboldt, there is even a special picture created. The Manitoba Post will continue to provide details as they become available. Photo of the collision as posted on the @completehkynews twitter account.